Come watch or participate in our first Barn Hunt activity. You will watch dogs find rats in PVC pipe tubes hidden among hay bales in an enclosed ring. Beginners can come early and learn the game and then participate later in the day to get in the ring and give their dog a try at finding the rat. To pre-register at a lower entry fee contact Treasure Valley Barn Hunt at 208-794-0199 or go to Treasure Valley Barn Hunt Facebook page and search in files for entry form. Cost: Free to spectators. 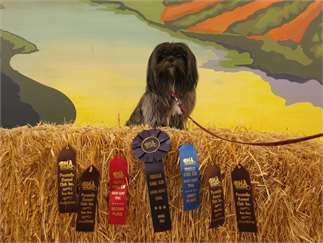 $25 per dog to participate in the clinic and $10.00 per run for dogs to trial in the ring the day of event. Lower rates apply for runs pre-registered.